Three of the elements of the build that I was most looking forward to seeing in real life were the bifolds, the roof lantern, and the render. The architectural intention of the extension was to combine old and new in a way that both complemented and energised the original building. 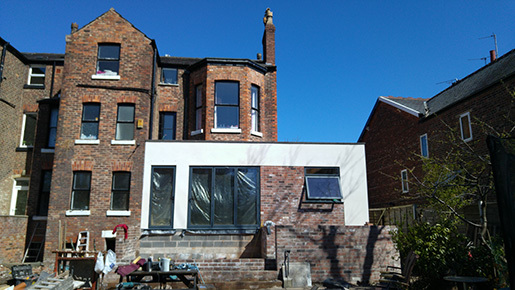 So white rendered walls on a reclaimed brick plinth - Mediterranean meets Manchester, if you like, and described poetically by Dan the architect as "a white arm cradling the old building" - and a new set of glass openings including bifold doors, a roof lantern, a glass back door, and a giant kitchen window, all made from anthracite aluminium. 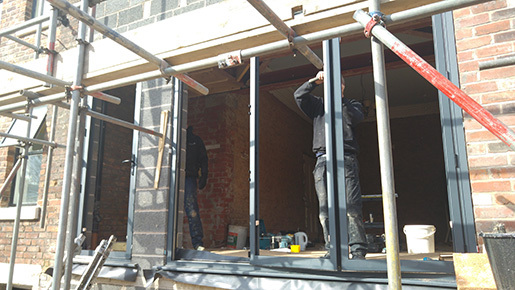 We chose the XPView doors from Express Bifolds in anthracite with a metallic finish (thank you again Sian for your assistance with this). They are sturdy, smooth, slightly sparkly, and both the customer service and installation were impeccable. The lead time for delivery was also very short - no more than 2-3 weeks. Thoroughly recommended. Ah, the roof lantern. Tom the builder magicked up a company to create this - it arrived as a flat pack and the builders installed it themselves. I love how it makes you look up at the original chimneys, which otherwise you'd probably never even think to crane your neck and cast your eye over. Old meets new and it's beautiful. 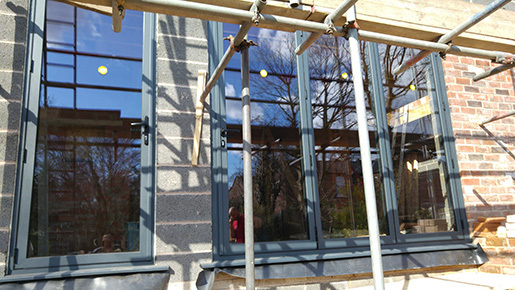 After the doors and windows went in, the renderers got to work. I am completely in love with how this has turned out. Me: Hi, my contractor sent me to look at samples of K-Rend and Weber. Bentley's man: We don't have any samples of K-Rend. Me: Apparently you said my contractor couldn't take them away and that I would have to come here to look at them. Bentley's man, after scratching his head: Here's the book with the K-Rend in it, love. Me: What about the Weber samples? Bentley's man: Weber is the same as K-Rend. Me: Well, my contractor asked me to look at both. Is it the same product with two different trading names? Bentley's man: They're the same thing, love. Me, after consulting my text messages: My contractor asked me to speak with Jason. Bentley's man, after more head scratching: Yes, he's in the back. Me, after a pause, during which it became clear that Jason was not going to materialise: Would you mind getting him, please? Me: I'm here to look at K-Rend and Weber samples. Jason: Certainly madame, I see you already have the K-Rend book so I'll just go and get the Weber one for you. 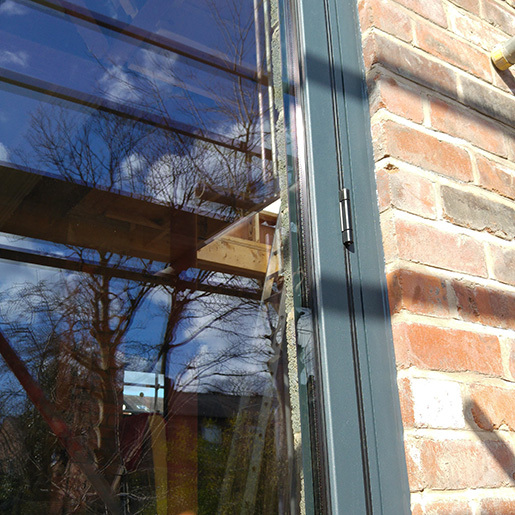 Still to come - the deck, the plastering, and the final internal openings and glass. Then we will be finished and can move onto kitchens, tiles, wallpaper and paint, how exciting!